Email users are more than twice as likely to encounter cyber threats through emails than any other malware, a new report said on Wednesday. 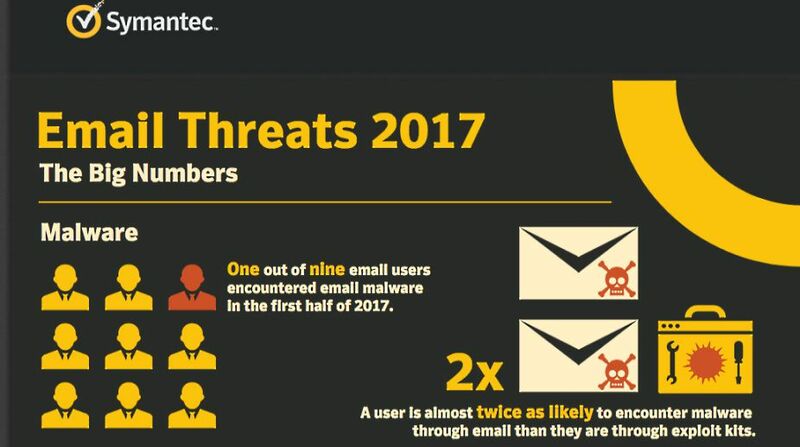 One out of every nine users would have received a malicious email in the first half of 2017, revealed the cyber security firm Symantec’s report “Email Threats 2017”. Business email compromise (BEC) scams have also been identified as cyber threat where scammers impersonate someone along the lines of an executive within the company, or within the administrative chains and attempt to get users to extort money or share sensitive information. “We see approximately 8,000 businesses targeted by BEC scams in a month. On an average, these businesses receive more than five BEC scam emails each month, said the report. The report identified spam emails as another annoyance. Spam rate which was on a slow but steady decline since 2011 is beginning to rise now. “The spam rate hit 54 per cent for the first half of 2017, which equates to around 11 more spam emails in your inbox each month compared to a year ago,” the report added.